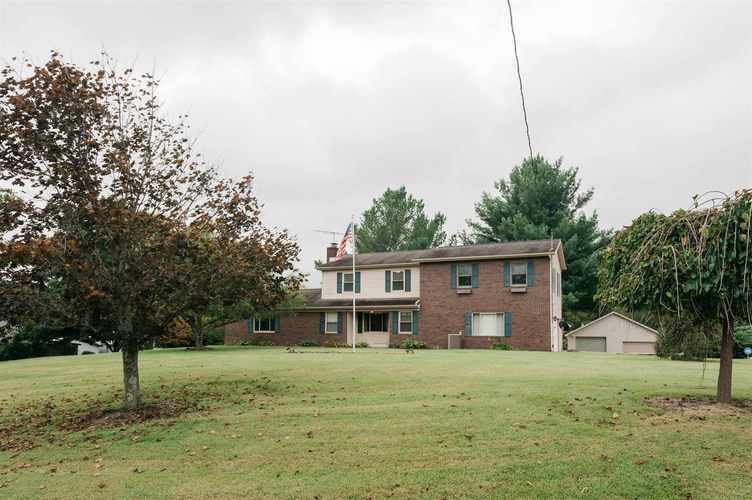 Very nice, well-built home....and with LOVELY UPDATE(S) on 1.91 A; Park-like Acreage, including a glorified Detached Garage/2 story Pole Barn with plumbing & electricity. Many Update(s) include but certainly not limited to: Updated Kitchen; BA's; Flooring; NEW HVAC system and Water Heater, and Newer Windows throughout. Featuring: Woodburning Stove in both the home, and in the Pole barn; Custom Amish Cabinets throughout; ADT system; Generator hook-up; RV Parking & MORE! All Appliances included; Propane tank is full, and LEASED. Excluded from the sale: Freezer(s) in attached Garage; Refrigerator on back porch & in detached garage. Located in NW Monroe Cty, and easily accessible to Bloomington....A MUST SEE; WON'T LAST LONG! Directions:37N to Sample Rd (just before Oliver Winery.) Go W on Sample; W on Simpson Chapel to Bottom Rd, and turn right. Take Bottom Rd to Dittermore Rd, and see property on the right.